Before working in public safety, Steven had a 20-year career in the banking sector, where he was involved in IT programming – designing trading systems and living between New York and London. In 2015, after suffering a personal tragedy, Steven trained to become a first responder. He wanted to help others on the front line. Not long afterwards, he jumped at the opportunity to become CEO of RapidDeploy. He has been travelling the world and showcasing this incredible public safety solution ever since. Brett has combined over 15 years of proven experience in IT with a passion for streamlining the way emergency services are deployed. He began working for Intel after school, before making his way to London, where he was CTO of an online gaming business for ten years. On his return to South Africa, he became interested in driving efficiency in emergency services. He completed his Basic Ambulance Assistant (BAA) training and started working on the road, gaining real world experience learning what was holding these teams back. He was surprised to discover deep inefficiencies within the system and decided to start building a mobile platform to help medics and dispatchers make the most of their efforts. An industry leader in the 9-1-1 community who has demonstrated the ability to strategically effect change and promote innovation on a nationwide scale. Previous roles include Vice President of Product and Public Safety at RapidSOS, where he was instrumental in partner management, product, process and policy leadership as well as the development and rollout of the NG911 Clearinghouse. Reinhard also previously held roles at The Boston Consulting Group and Google. He holds an MBA from Stanford Graduate School of Business and has over 10 years’ experience as a volunteer Paramedic and EMS Incident Commander. Alex Kreilein is the Chief Information Security Officer for RapidDeploy, where he manages security strategy and operations for the company. Previously, Alex was CTO of SecureSet, which is a cybersecurity startup as well as Managing Partner of Darkfield, which is an early-stage cybersecurity venture fund. Previously, Kreilein served as a lead cybersecurity strategist at the Department of Homeland Security and as a Guest Researcher for the National Institute of Standards & Technology where he supported the development of the NIST Cybersecurity Framework, LTE and mobile device/application strategy, as well as key efforts in Federal cybersecurity policy. Kreilein also worked for Congresswoman Jane Harman where he lead her telecommunications, cybersecurity, and public safety policy, where he supported efforts leading to the establishment of FirstNet. He has been a Cybersecurity Fellow with the New America Foundation and often presents leading-edge research at conferences such as DEF CON on NG9-1-1 hacking and exploitation methods of mission-critical environments. Kreilein holds an MS from CU Boulder’s College of Engineering and Applied Science and an MA from the US Naval War College. 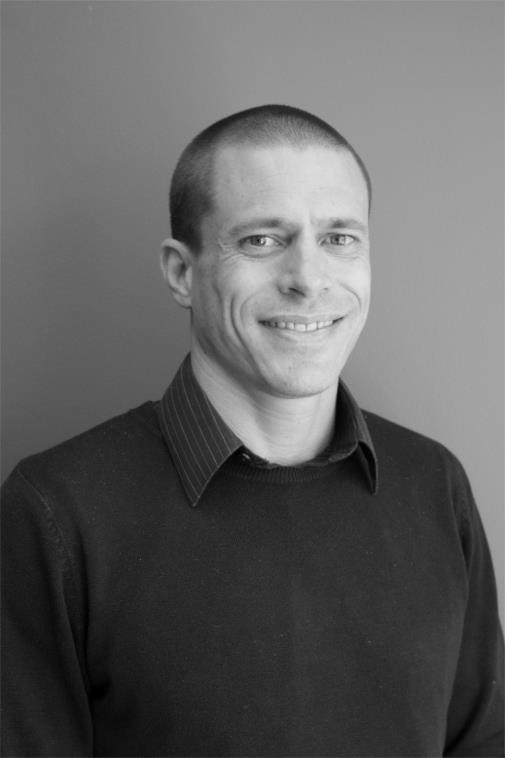 Over the past 17 years, Darran has been involved in a broad range of roles, both in South Africa and abroad, helping start-ups and global entities achieve their goals. Before joining RapidDeploy, he was a business leader with MasterCard for almost 7 years in operational, product and sales roles. He brings a wealth of experience to the day-to-day running of the business and enjoys working as part of team that is able to make a positive difference to lives all around the world. Graham has a successful 20-year track record delivering business solutions through collaboration with multi-disciplinary teams. His expertise lies in business issues and needs identification, business process and solution design, IT solution architecture and the implementation of business improvement projects. Graham thrives on making practical sense of large amounts of input. He has a bias for action, a strong commitment to adding value and is particularly skilled in fostering good relationships and communication within teams. His academic history and professional career stands him in good stead to drive and support complex projects and manage relationships at all levels. Ryan has worked on Information Technology transformation initiatives throughout his 12 year career, focused on delivering value for clients through business process and technology improvements. He worked primarily in a consulting capacity for federal, state, and local government entities, spanning a wide range of industry verticals, including public safety, environmental regulation, and financial management. Most recently, Ryan spent several years leading a team of engineers in support of a large state agency’s Next-Generation 9-1-1 (NG9-1-1) design, analysis, and testing program. Ryan is passionate about helping clients achieve their missions by leveraging technology and will be focused on leading delivery and implementation of RapidDeploy products in support of our client’s efforts to improve emergency response outcomes. Abbie has worked for 6 years in the corporate world as a Project Coordinator and Technical Writer at a well-known international IT Services and Solutions company. She has worked on a vast number of complex and involved projects throughout her career and strives for visibility, collaboration and perfection at all times. Along with her project management experience, Abbie brings her passion for people and making a difference to the lives of others. Stanford is responsible for training emergency staff to get the best out of RapidDeploy’s integrated software application. He has been working within the communications industry for 27 years and in the Emergency Medical Communication Sector for 8 years. During that time, he has been exposed to a wide range of emergency vehicle dispatch programs and platforms. He has a real passion for skills development and is honoured to have been tasked with training the Western Cape Emergency Services dispatchers and the call takers at the Department of Health (EMS). Martine is a qualified attorney with both local and international experience. Leveraging her legal training, she moved into Executive level administrative support and has extensive experience in this field. Before his 6 years of work in corporate IT system administration, Eric was a full-time medic and devoted the majority of his time to helping others when they were at their most vulnerable. In that time, he saw the need to advance the emergency services sector and bring it into the new digital age of cloud computing. And so, in 2017, he joined RapidDeploy, helping to fuse technology and emergency medicine and make his vision a reality. Jakeem has been performing a support/monitoring function globally at his previous company for 6 years. His function included out of office support and joining various conference calls globally to better support their platforms and systems within the e-commerce environment. He also performed a number of testing functions on-behalf of customers to provide efficient API support. Molly has extensive experience coordinating with local government offices to support NG9-1-1 related efforts. She served as a client manager for over 20 government clients in the Mid-Atlantic region. Prior to managing projects, she served as a technical resource to create, edit, and repair address data. She has also spoken at several conferences on the importance of being NG9-1-1 ready, and data editing best practice. Most recently Molly helped government clients identify GIS data needs, software requirements, and set priorities to prepare for NG9-1-1 through facilitated workshops and educational series. She also currently serves as the president of the Virginia Association for Mapping and Land Information Systems. Ryan has quickly become a go to person for training in the Public Safety Field. His efforts were rewarded in 2018 by receiving the Texas APCO Presidents Award and also the 2018 National NENA Presidents Award. John has 13 years of experience with GIS, supporting US Army and DoD intelligence efforts and, most recently, ATCOG’s 9-1-1 Program. Additionally, he has four years of project management experience with USAICoE and ATCOG. He is actively involved in NENA and currently serves as Data Structures Committee Co-Chair and CLDXF Working Group Co-Chair. He looks forward to the ability to help revolutionize Public Safety efforts. Samantha has over ten years of experience in public safety. She started off her career in emergency management and volunteering for the American Red Cross. Her first role in 9-1-1 was being the project manager for three 9-1-1 centers within Iowa, as well as being a local emergency manager. From there she moved to the State of Iowa, followed by the State of Utah where she specialized in statewide Next Generation 911 upgrades, mass notification implementations and emergency management response. She has a Master’s degree in Emergency Management and is a NENA Emergency Number Professional (ENP). Ronnie Miller is a forward-thinking customer success specialist with a proven track record of developing and implementing strategies resulting in high customer retention, satisfaction, self-sufficiency, advocacy and growth. Her ability to build relationships with customers to solve complex business problems with creative solutions and open dialogue is her greatest strength and what she loves about her work. 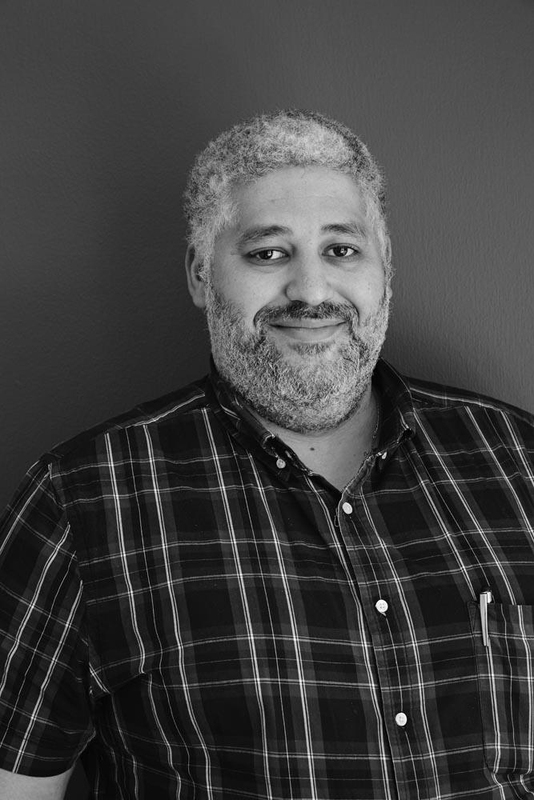 Based in Austin, Texas, Jon has over 15-years of experience in consulting and software implementation spanning both public and private sectors for a number of large software and consulting companies. His experience ranges from custom and platform software implementations to sales and account management. More recently, Jon has been focused on serving the needs of the US State and Local government vertical with an emphasis on public safety and NG911. Jon heads up RapidDeploy’s Account Management Team for our US customers. His experience with full-lifecycle platforms over the course of his career will give RapidDeploy’s prospective customers a fresh perspective on the benefits and value-drivers for our SaaS platform. Walt is an emergency/tactical management professional with a record of supporting successful projects for top tier companies in all public safety arenas including EMS, firefighting, and law enforcement. He leverages his more than 25 years of emergency preparedness/response training to manage projects and mitigate client risk. His core competencies are strategic planning, change management, performance optimization, technical oversight and technical design. Ryan started his career in community services from the age of 13, patrolling his neighbourhood and reporting incidents. His journey into emergency services started in 2008, when he completed his Basic Ambulance Assistant Course. He volunteered for the Volunteer Wildfire Service in 2010 and joined the City of Cape Town’s Law Enforcement Auxiliary Department in 2012. Since then, Ryan has worked in EMS and private security. His previous employer was RapidDeploy’s first client. Before joining RapidDeploy Alex had spent the previous three years at a large PSAP where he worked with TCC’s and dispatchers to configure CAD mapping systems and ASAP interfacing. Lead developing and managing authoritative NG911 GIS data. Was co-chair of a state level sub-committee charged with aiding counties in GIS preparedness for NG911. Has over 10 years experience in GIS, is Firefighter 1 certified, has TCC, Police, and Fire dispatch training. Draws from a wide range of technical and logic skills to understand complex systems and how data drives them. Has been primary GIS support on multiple CAD projects. Lacey has nearly a decade of experience helping disaster survivors while working at FEMA; and 10+ years creating and executing marketing strategies across various organizations. She specializes in taking a client-focused approach to connecting all areas of an organization to produce better quality products, services, marketing, sales, and post-sales activities. She has an undergraduate degree from Missouri State University and an MBA from Fundacao Getulio Vargas- Rio de Janeiro, Brazil. Jon has worked in the software industry for over twelve years; and has implemented technology platforms like Palantir throughout the US Government. Jon has embedded to directly support the technology needs of the US Military’s most elite units throughout SOCOM, the US intelligence community and law enforcement. Jon Co-founded a startup called Vergence Technologies. Vergence, was a cloud-based video platform that aggregated video data from both open source and secure streams. Public safety organizations utilize this video analytics open framework to deploy computer vision and machine learning (AI) applications at scale across all these video sources. Recently as the Director of Field Engineering for Axon, Jon helped to solve some of the worlds top law enforcement agencies technical pain points; by rapidly developing solutions as services and products. 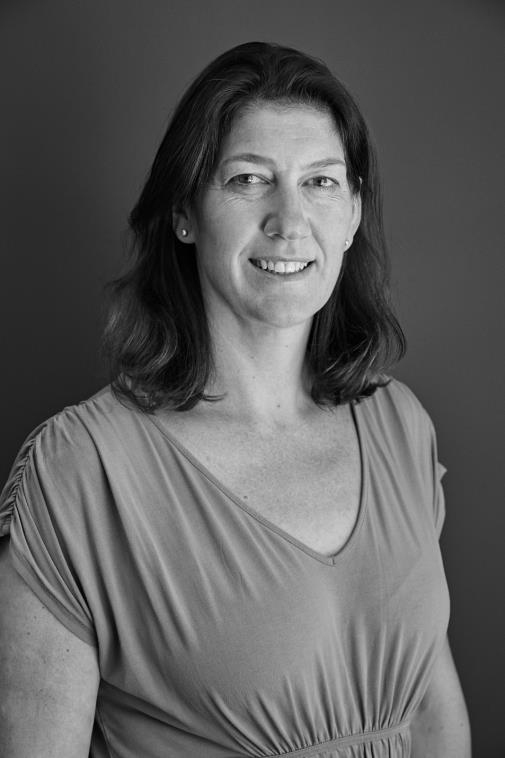 Denise has 20 years of experience in telecommunications, SaaS software solutions, sales and partner development. She has a passion for creating great customer experiences and thrives on delivering solutions to help make people’s lives better and safer. While not at work, she enjoys spending time with her spouse and teenage son cooking healthy and eclectic meals and enjoying hikes in the Texas Hill Country with her two dogs. Nikki has been serving the Criminal Justice and Public Safety Information Technology industry for nearly 15-years. An expert of State & Local Gov marketing services and business development, Nikki has a passion for assisting First Responders, Law Enforcement and Emergency Management agencies in their missions to build safer, connected-communities using enhanced cloud technology. When she’s not chasing her adorable toddlers, Nikki can be found riding dirt bikes with her husband Adam. She can be seen often at the RapidDeploy Austin location and resides in Charleston, SC. Julia is a recent graduate from Indiana University earning her degree in Event Management. Previous employers describe Julia as a “committed and invested individual that will never give less than her full effort.” She enjoys traveling, dancing, and yoga in her free time. 14-year career in public safety, driven by a passion in leveraging Geographic Information Systems (GIS). Served in many leading market facing roles including Lead Software Engineer, Director of Software Development, Senior Product Manager, Vice President of Next-Gen Core Services Product Development for organizations including BullBerry Systems, GeoComm and INdigital. Designed and developed tactical PSAP and in-vehicle mapping applications for telecommunicators and first responders; GIS data management tools; Next-Generation 9-1-1 (NG9-1-1) core services, geospatial call routing software; 3D mapping and indoor location with the latter with a focus on university campuses; Text to-and-from 9-1-1 solution; and a PSAP disaster recovery and resiliency backup call handling solution. Has worked closely for over 8 years with industry groups such as the Association of Public Safety Communications Officials (APCO), the National Emergency Number Association (NENA), the European Emergency Number Association (EENA) and other organizations to develop technical standards for NG9-1-1 and the future or emergency response. Is co-chair of both NENA’s Location Validation Function Consistency working group and the Data Structures Committee Regularly presents at state, national and international conferences on industry trends, best practices and lessons learned related to NG9-1-1 and GIS. Jamie brings over 23 years’ technical and operational experience in the public safety industry with deep experience in deploying industrial-scale solutions for large and complex agencies. Past work and experience includes performing the duties of a police and training officer, as well as transitioning that experience to the Private Sector. His expertise includes CAD, RMS, Mobile and Analytics. Jamie has managed the strategy and vision for Law Records, Mobile Apps, Business Intelligence, Analytic and Predictive Analysis software applications. His vast experience in US, Federal and International Public Safety and Security activities provides a diverse understanding of the constantly changing needs of technology in Public Safety and Homeland Security. His in-depth knowledge of UCR, NIBRS, StatsCanada, British Common Law, and international crime data collection is unparalleled. Lidia has been working with cross functional teams for the past 10 years, focusing on product management in the last 3 years. She loves working in a fast-paced environment and creating functional products using lean and agile methods. She is a Certified Scrum Product Owner and Scrum Master. Thanel has 6 years experience as a Business Systems Analyst, mainly in the financial services industry. However, she spent the last year studying in the UK, pursuing an MPhil in Technology Policy. Prior to that, she worked at Barclays Africa as a Product Owner in their CIB Digital team here in Cape Town. She is originally from Pretoria, but there's no place like Cape Town for her- perhaps because she’s easily bribe-able with a good bottle of wine. With over 10 years experience in the emergency medical services industry, Ian has a proven commitment to serving the community. He has a keen interest in identifying problems and developing solutions, as shown in his leadership and management in Community Medics, where he serves as a Trustee and Operational Adviser and Emergica, as a Founding and Managing Director. Ian has excellent technical knowledge and experience in guiding strategic IT infrastructure development in the finance, emergency medical services, hospitality and commercial property sectors. He holds qualifications in IT Networking, Business Project Management and as an Intermediate Life Support Medic. Along with his professional and academic experiences, Ian utilizes his passion for quality and performance, to guarantee our customers an excellent experience at RapidDeploy. Originally an architect by profession and got into UX (User Experience) way back in 2011 with a bit of a leap of faith and well the rest is history as they say. She’s worked for a range of agencies and financial institutions on an expanse of different work for an array of clients. Working with users - meeting them, talking to them and seeing how they relate things to daily life situations as well as understanding how they think and behave, essentially the “why” of things is an amazing feeling especially when research exploration clicks in one’s mind while designing. She likes to keep things simple, is detailed oriented, open-minded and no work done is ever wasted. She’s a complete sports nut and truly excited to join an organisation/team that genuinely makes a difference. Ivor has been involved in all aspects of software product development for almost two decades. He specialises in engineering scalable, high-throughput systems on an enterprise level, and as solutions-architect provides technical strategy, design, development and guidance to the software-engineering team. He comes predominantly from the fast-paced payments and switching industries, but left that world to make a difference to people’s lives at RapidDeploy. Justin has over 15 years’ experience implementing complex enterprise architectures in software developer, integration architect, and solution architect roles. His career started in the telecommunications, medical billing and fin-tech industries and later moved to state & local government, delivering IT modernisation projects for revenue, child welfare, motor vehicles, and unemployment insurance agencies. Recently his passion and focus has been cloud infrastructure and architecture design for the North American public safety industry with emphasis on standards-based integration patterns, IoT, and emerging NG9-1-1 technologies. As an Air Force veteran, Mike has 10 years of professional work with long haul communications and computer networking. After military service and graduating with a degree in information security, he dove back into government work as a contractor administering and engineering computer networks in Virginia and Hawaii. Those efforts led to integration consulting for state and local government in Austin, TX and an introduction to the 9-1-1 space helping design and build an NG-9-1-1 compliant network. Lately he has expanded these skills to include virtualization, network programming, cloud computing, IoT, architecture, and many other interesting technical facets. J D Freeman is the Principal Data Scientist at RapidDeploy's North American headquarters in Austin, Texas. He has a strong background in data science, winning international awards and publishing in peer-reviewed scientific journals, with over 20 years of experience at deriving critical insights from data at scale. He holds both an MBA and a Master of Science in Business Analytics from Indiana University, and conducted an undergraduate independent study of Taguchi methods at University of Illinois, before moving one to become a Microsoft Certified Solutions Associate (MCSA) in Machine Learning, a Lean Six Sigma Black Belt and a Certified ScrumMaster in industry. RapidDeploy's mission speaks to him personally because he hails from a family full of first responders, six of whom (four FDNY, two NYPD) were at World Trade Center Ground Zero on September 11, 2001. He has himself served as both a volunteer fire marshal and as an incident commander at a Superfund site. From his first 386 processor from Intel, Yves knew he wanted to be in the IT field. Ever since, he has been programming and hacking code to get through. With a huge variety of programming languages under his belt and over 17 years of experience, he uses his knowledge to push RapidDeploy to be a world class Computer Assisted Dispatch system. Michelle has been working as a database administrator since 2000. She studied engineering and found her studies and work experience in online gaming and ecommerce has helped with the problem solving skills needed to be a good DBA. Her interest in working at RapidDeploy stemmed from wanting to work in an industry that benefits the community. Michael previously worked as a DevOps Engineer at WiGroup, where he worked with various software stacks (MEAN, Java, Laravel, etc.). He has 3 years experience in DevOps and just over 10 years’ experience in IT Infrastructures and Networks. 20 years’ experience in Windows systems and 4 years with Linux. He has been working for the past 3-4 years on Amazon Web Service in both DevOps roles and as a Solutions Architect, where I have used my experience to build and deploy various architects and solutions for Software companies with a keen interest in deploying Continuous Delivery models. Outside of working hours he is a Trance DJ with 9 years experience. Also part of South Africa based Dirkie Coetzee’s “We Are Trance” Record Label. He also has been a Ballroom and Latin Dancer for the past year, and spend a lot of time at gym (fitness freak). Luke is a full stack software developer with 14 years’ experience – with half that time spent contracting in London. He has a range of experience building many different types of applications within many different industries, ranging from financial to advertising to housing. Khelly supports Rapid Deploy’s Quality Assurance & Testing team. Since the age of 13, when Khelly received her first computer, her inquisitive mind had to know how it all worked, She knew that she had found her place in the world of computing/IT. After completing her BS Computer Systems, she submerged herself in the Software and Support environments. She has 5 years of experience in Software Application Support, Product Support, User Testing/Troubleshooting along with MS Word Design Consulting for SharePoint Word Template integrations. Before joining RapidDeploy, Yusuf worked in the education sector for 6 years. During that time, he also developed an Android app that received media attention. The app addressed a social issue, which is why he is drawn to RapidDeploy. 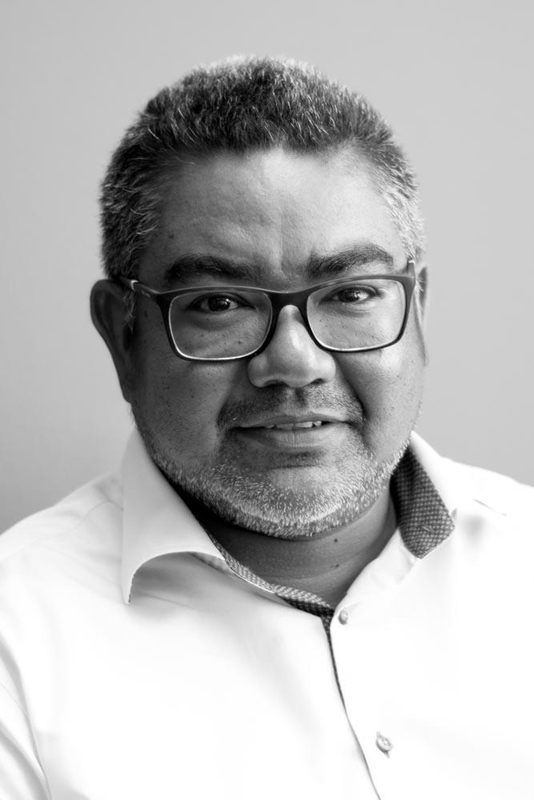 Dexter has a rich history in the call center space, where he has worked for Virgin Active, The Carphone Warehouse and most recently, Western Cape Emergency Medical Services. During his time there he looked after 6 call centers across the province and ran the BI department, which designed the strategy for the organisation. His main focus in the EMS environment is to optimize the organizations efficiency through delivering a strategy that enables people in need of critical care to get attended to as soon as possible. Dexter’s EMS knowledge and call center experience make him one of the very few that can fully optimize an EMS organization. Calvin worked in the Emergency Service sector whilst studying for his degree in Information systems. He started off in the data analytics field at Lentegeur Hospital, measuring all EMS vehicle and crew performance as well as ensuring effective EMS response time by means of data analytics and report creation. He then progressed to working at a provincial level for the Western Cape Government at the Emergency Communication Centre at Tygerberg Hospital, where he measured all the EMS for the Province, using a large array of Microsoft BI tools. With a natural knack for Geographic information Systems, he became a GIS technologist. Juan is an iOS engineer with over 4 years’ experience, an Apple acolyte and lover of all things mobile. He is always looking to improve his skills and is constantly learning new things - the latest of which is Android development. He has worked on apps that were featured by the App Store; frameworks used by government and banking clients, rapid application development tools and an E-commerce app that is consistently in the top charts of the South African App Store. In his free time he enjoys building and flying FPV drones, mountain biking & teaching or training Brazilian Jiu-Jitsu. In his spare time he enjoys music, running and gardening. He is originally from Somerset-West (50km outside of Cape Town) and moved to the city 15 years ago. He was trained as a software developer but soon realized my passion for the testing of code. Test automation has always played a critical role in his projects. He just loves the concept of clicking one button and see stuff happen. After 18 years of using test automation, it still puts a smile on his face when he sees it in action. His family keeps him very busy: wife and three kids aged, 7-9-11. Due to a non-disclosure agreement my wife’s age cannot be mentioned. He has a great sense of humor, and what he does at work must be fun. Over weekends you will find him doing some DIY on his two year “fix-me-up-property” project that is now in its fifth year. From a fitness perspective: he only run if someone chases him, otherwise he likes some cycling and making a guest appearance at the local gym. His other big passion is motorcycles. Stepping into an iOS engineer role, he has been working on Mobile products in the Gambling, Fintech and Publishing industries for 7 years. He’s excited to contribute to the fantastic mission at RapidDeploy. He has a keen interest on making all things as configurable as possible using different architectures, design and code testability when building apps. He’s originally from Durban and been here for 3 years. He’s always looking for Cape Town’s greatest spots for food, outdoors and hidden surf treasures. In his spare time, he is often doing all things outdoors, such as playing soccer and surfing; as well as up-skilling in technologies like Flutter and Android. Faizel was born and bred in Cape Town and has just turned 27. He is still fairly new to software development with little over two and a half years’ experience in industry. He began his career as an automation tester but switched to development after one year. His work history in software development has only been at one company so far. The projects range from CMS system to fintech applications using payment gateways to data integration platform, all built using .NET framework. He is looking forward to growing more as developer under the guidance of the architects at RD. When not in the office he is an advent runner and hoping to run his first marathon in 2019. In his free time you can catch him sleeping, gaming, watching anime, reading manga/comics, MEMES. Also, not forgetting, he has a very dark sense of humour. P.S. Die-hard Stormers and Bokke fan! Danielle has spent over 14 years in Information Technology roles from development & architecture to departmental management where she was responsible for providing leadership for the continued development of innovative, creative, robust and secure development environments. She worked in various different industries, including finance, publishing & digital marketing, during which she was responsible for leading the development of projects across a variety of disciplines including product development, enterprise architecture, infrastructure, data management, e-commerce, web- and mobile application development. In her free time, she loves the mountains, running, cycling, hiking – anything active outside! Faghrudien has 13 years of experience it IT and been living in Cape Town for 32 years and counting. He has worked with various companies namely Hewlard Packard and Sharpspring. He has experience in networking and software support. He enjoys new challenges and currently pursuing experience in coding and certification in software testing. He has done some work in USA and worked remotely with various clients and development teams all over the world. He loves working with different clients and colleagues which makes it a unique experience. He enjoys travelling and hope to travel soon to a new destination in the near future. Zain was born and raised in Cape Town. He completed his undergraduate degree in Computer Systems Engineering and is currently working on his post graduate degree in the same area. He is a certified RPA Developer, Agile Professional and an ISTQB Certified Tester. As a Test Automation Engineer, he has experience in building test automation frameworks and creating automations on multiple applications (Desktop, Web, Mobile, API, Performance). In his free time, he loves travelling with his partner to learn about different cultures and have new experiences; while finding the time to find blue beaches and white sand for some relaxation. Pierre is a .NET C# developer with 10 years of experience in the retail and fintech industries. He has experience working with stock allocation, supplier trade term, and asset management systems, but recently, he has been focusing on software architecture, .NET Core, and frontend frameworks. In his after-hours, he likes to play the guitar, body-weight train and to hang out with his Staffordshire terriers.